It’s pretty clear why some citizens end up as engineers, say, or maybe even beggars. 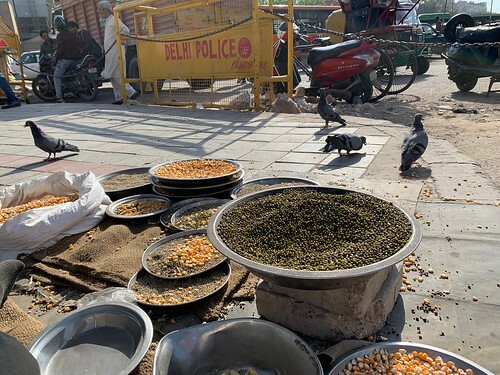 But what about bird food sellers? 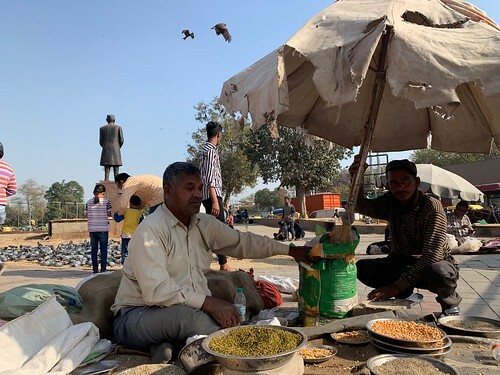 For some 40 years Sher Singh has been industriously hawking bird grains, like dal or corn, at a bird-filled plaza in Central Delhi. 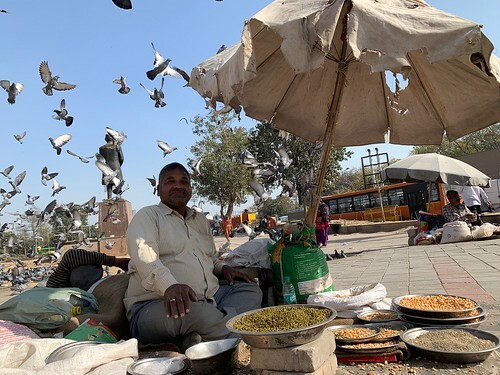 Bird lovers buy fistfuls they then offer to hungry pigeons, expectantly gathered in the hundreds. 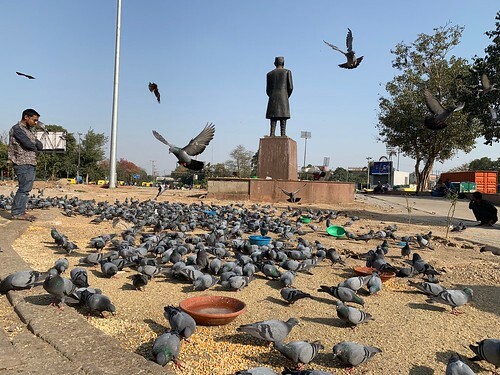 So… why did Mr. Singh choose to sell bird food? “Life does take you to places you never imagined,” the middle-aged gentleman shrugs and smiles. As a child he wanted to be an office peon like his father, even though his salary in the government office of Krishi Bhawan was very poor. 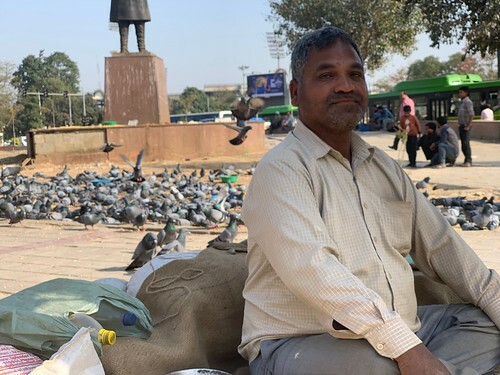 “It wasn’t enough to support eight children,” recalls Mr Singh. His mother tried adding to the family income by washing dishes in other people’s homes, with hopes that her children would fare better.